The goal to machining SAE 841, is to maintain the physical properties of the material. This would include the porosity and mechanical strength of the part. You can achieve minimal loss of microporisirty by using sharp tooling and poper feed rates. 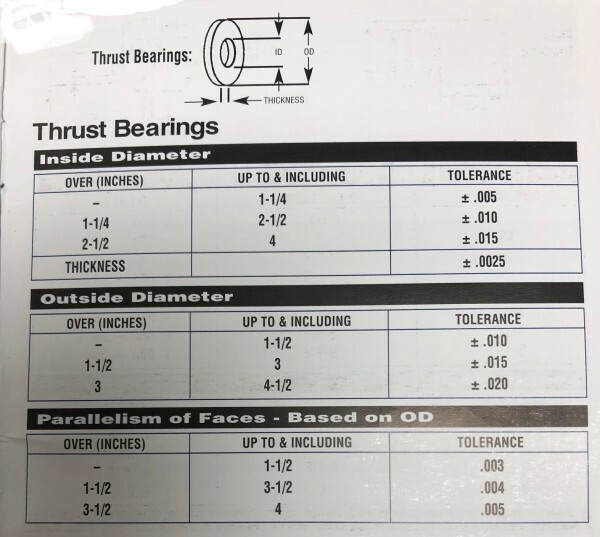 Spadone SAE 841 Thrust Bearings, also called Thrust Washers are sintered at the mill so that they exceed the industry standard. We have nearly 150 different sleeve sizes available to us, to ship within 24 hours. They provide an quick | instock solution for many of todays applications.